Living Area: 700 sq. ft.
Large 2 Bedroom, 1 Bath, Full Kitchen, Living Rm Area, with one full size convertible pull out futon. 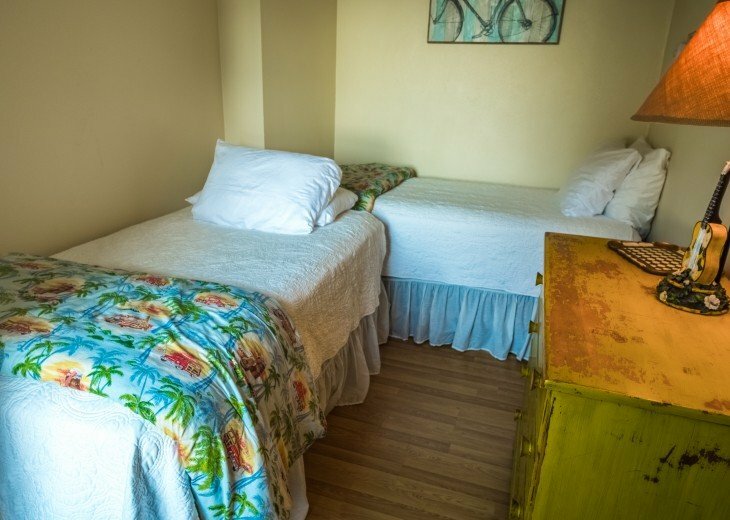 Super clean, all new very comfortable high quality mattresses and linens, New owners have made many nice improvements to an already cool old-school beach house. 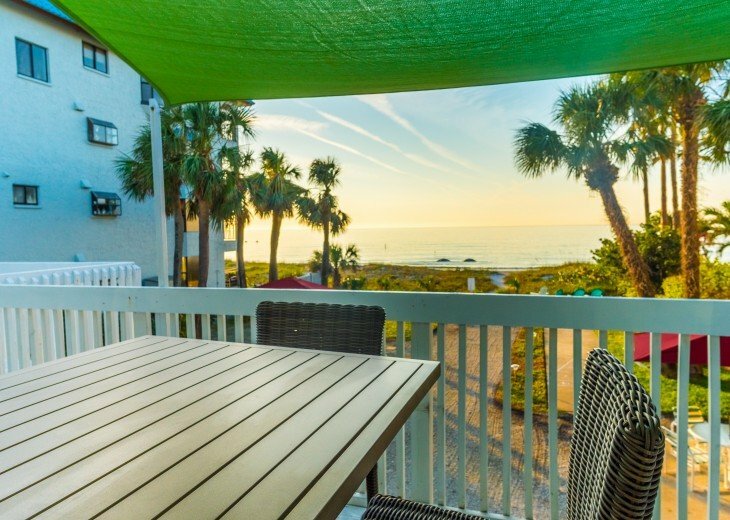 This apartment has a huge private balcony that looks directly onto the beach and the gulf. This is not your typical beach condo experience! This large 700 square foot, two-bedroom, 1 bath, full kitchen with living room area unit, is part of a large beachfront 3 unit-cottage directly on the Gulf of Mexico. The North Unit sleeps up to six guests. There is one king size bed, 2 twin beds, and one full size convertible futon. Our beach house has high wooden beam ceilings and decorated in a relaxed beach chic decor. We supply all your needs from towels to toasters and bed sheets to beach toys. Each unit is large and spacious and has a direct view of the Gulf of Mexico. All units have private decks and picnic areas, all overlooking the beach. 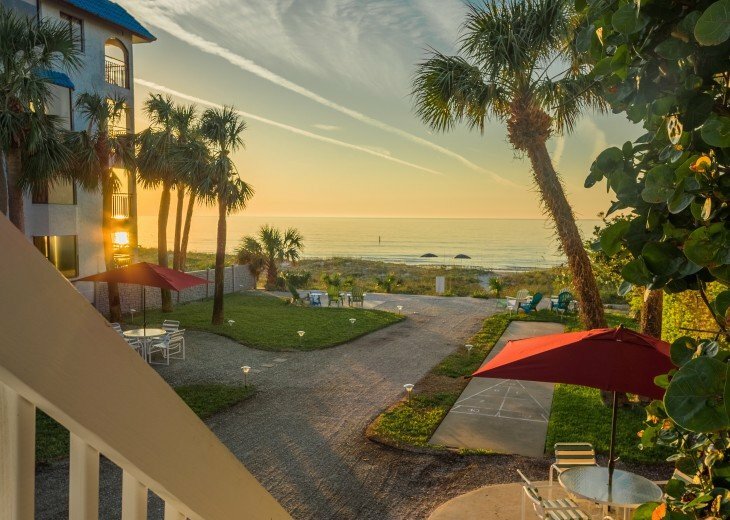 Enjoy swimming and shelling, shuffleboard or simply relaxing in our swaying hammock as the sun sets into the sparkling Gulf waters. We have a fire pit where roasting marshmallows or enjoying refreshments under a full moon is a very special experience. The summer weeks and holiday weeks are wonderful, too and great for family reunions. Our sunsets are amazing! Our weather is wonderful year-round and with so much to do, many of our guests return year after year. Once you stay with us, we consider you “family” and love having you return. Perhaps you remember a special place you went to with your family as a child. We have recreated that special place and now, we are watching the children of our guests grow up, too. We will look for you at the Beach! We are located in one of the last small beach towns on the west coast of Florida but right in the middle of all the excitement and activities that the Tampa Bay area has to offer. 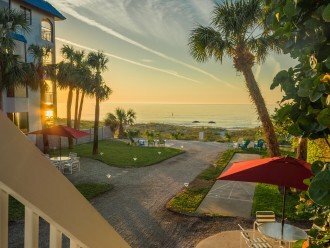 Our white sand beach and sparkling Gulf water is perfect for swimming, shelling, stand up paddle boarding, kayaking and walking. Our restaurants are wonderful and reasonable. Close by we offer shopping, art museums, botanical gardens, nature preserves, golfing, tennis, bike riding and sporting and musical events. There is always a charming art festival or music festival close by. Why this property? We fell in love with this unique old school beach property at first sight. being able to provide a very special retro beach experience to our guests.